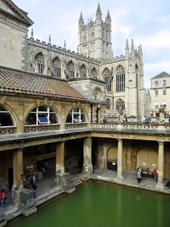 The World Heritage City of Bath, positioned at the southern extremities of the Cotswolds, is a spectacularly beautiful city. 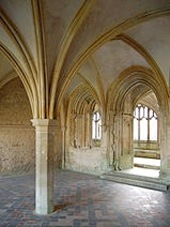 The city’s compactness and striking architecture - Roman baths, majestic Abbey and sweeping Georgian terraces - combine to produce one of the most elegant sights in Europe. The city, however, is far more than museums and old buildings. It has a lively cultural scene with several festivals and all kinds of shows, concerts and exhibitions filling up the events calendar. Being a university town, it also has a vibrant nightlife, and the dining scene equals that of almost any other British city. Arrive in Lacock village and you could be forgiven for thinking you've just entered the scene of a recent wizard battle or turned up to meet Mr Darcy for a dance at the assembly rooms. Lacock village is a firm favourite for film and TV producers, most notably for its picturesque streets and historic cottages, untouched by modern alterations. The village’s most famous appearances include the BBC’s Pride and Prejudice and Cranford, and the films Harry Potter and the Half-Blood Prince and Wolfman. This privately owned historic house, with its significant art collection, is open to visitors - Located in Corsham, the house and gardens are well worth a visit. Whether it’s seasonal meat, game and vegetables for everyday of the week or deliciously tempting treats, it is all available in the beautiful surroundings of Neston Park Farm Shop. 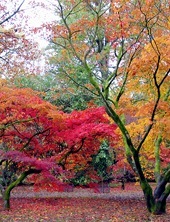 Westonbirt, The National Arboretum is managed by the Forestry Commission. It is located near the historic market town of Tetbury in Gloucestershire, England, and is perhaps the most important and widely known arboretum in the UK. Planted in the heyday of Victorian plant hunting in the mid-19th century, today Westonbirt Arboretum is one of the finest tree collections in the world, carefully laid out within a beautiful Grade One listed historic landscape. The Badminton Horse Trials is a three-day event, one of only six annual Concours Complet International (CCI) Four Star events as classified by the Fédération Équestre Internationale (FEI). It takes place in April or May each year in the park of Badminton House, the seat of the Duke of Beaufort in South Gloucestershire, England. Peaceful water gardens and herbaceous borders, with organically shaped topiary, demonstrate an imaginative use of colour and planting, creating unexpected vistas. Stroll through the arboretum with its wonderful species of trees and naturally planted spring bulbs.